Wayne, Pa. (August 22, 2018) —Tekni-Plex will present a paper on Innovations in Medical Tubing Technologies during Global Device Week, Suzhou International Expo Center, Suzhou, China. The presentation will be part of Transformation Medicine and Innovation Service Forum 2018 (TM&IS), September 6-7. Dan Lazas, Tekni-Plex senior director of medical components, will offer attendees insights on trends impacting medical tubing and what solutions are being developed to address them. Topics that will be discussed include material and processing innovations used to manufacture advanced medical tubing for diagnostic, therapeutic and interventional applications. 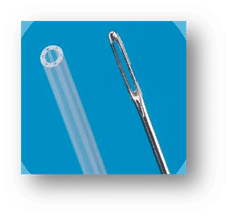 Specific applications that will be addressed include polymer tubing capable of improved intravenous (IV) drug delivery and endovascular catheter tubing used to reach smaller, distal sites within the body. Tekni-Plex business units Natvar and Dunn Industries have extensive experience in serving the needs of the healthcare market place, via a wide array of medical tubing technologies. These include single and multi-lumen, single and multi-layer, reinforced and custom configurations for patient care, diagnostic, therapeutic and interventional applications. Materials used for these extrusion include polyvinyl chloride (PVC), thermoplastic polyurethane (TPU), thermoplastic elastomer (TPE), polyamides, silicones, polyolefins, and much more.